A senior Revolutionary People's Liberation Party-Front (DHKP-C) terrorist who carried out an armed attack on a prosecutor in December was shot dead in an anti-terror operation in the early hours of Saturday. 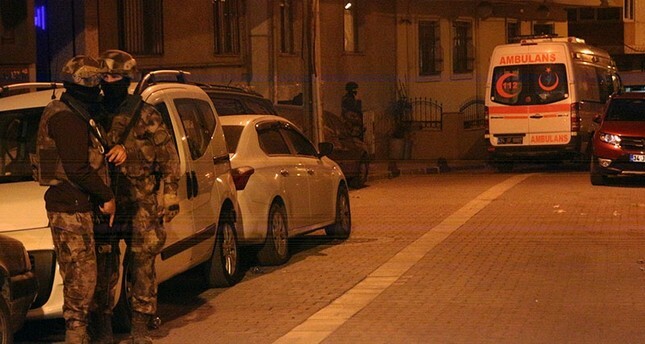 Counter-terrorism units of the Istanbul Police Department raided an address as part of an operation against the DHKP-C terror group in Istanbul's Küçükçekmece district. During the raid, the senior DHKP-C member refused to lay down arms and opened fire, targeting police officers. The assailant, identified as Sıla Abalay, was found dead after officers responded to the terrorist's attack. She is reportedly one of the group's leaders in Istanbul and a suspect of an armed attack in December on Evliya Çalışkan, a public prosecutor who investigated major terrorism cases in Turkey. Two other suspects found at the address were detained during the operation. Evliya Çalışkan, the prosecutor who was attacked, handled multiple cases involving terrorism. He wrapped up an indictment against 29 police officers accused of having links to the Gülenist Terror Group (FETÖ) and helping the plotters of the July 15 putsch attempt blamed on FETÖ before being attacked by DHKP-C. Moreover, Çalışkan conducted an investigation against Can Dündar and Erdem Gül, two employees of the Cumhuriyet daily charged with aiding and abetting FETÖ for publishing photos of the National Intelligence Organization (MİT) trucks' contents.